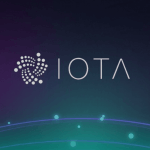 Home » Altcoins » Is Cardano (ADA) the future of Blockchain? Cardano is a project that was started back in 2015 as an effort to change the way cryptocurrencies are designed and developed. First generation of cryptocurrency was Bitcoin, which came in as a digital token which was usable to transfer and store value. Bitcoin was a quality solution until its scalability issues started to rear their ugly head in. Bitcoin block size and frequency are limited so the amount of transactions per a set period of time you can do is limited as well. Also the amount of energy and computing power required for Bitcoin blockchain verification is infamous and is growing with each new added block. Ethereum came into the fray as the second generation, looking to improve on Bitcoin and its issues. It brought in smart contracts and improved scalability, but not enough to ensure global, commercial adoption of its blockchain. It introduced a need to translate applications into Ethereums complicated programming language Solidity, as well as gas fees which many users complained about. All these previous generations came with governance issues, where as a result of a disagreement between the developers we would end up with the original technology hard forking and creating a completely new blockchain (Bitcoin Cash, Ethereum Classic). The realization set in that something new is required, something that will be able to scale up to millions of world-wide transactions per second while keeping the fees low and energy expenditure almost non-existent. Enter third generation of cryptocurrency. Cardano (apparently named after an Italian scientist Cardano, a once great friend of Leonardo da Vinci) claims to be the first one that was developed “using scientific philosophy “. This means that Cardano observes the latest peer-reviewed research and engineering insights, as well as previous industry lessons (like the DAO failure), and uses them to build a platform suitable for creation of high quality commercial grade applications. After more than two years of under-the-radar planning and development, Cardano blockchain was publicly launched on the 29th September 2017. Cardano’s ADA token was then made available for trading on the 1st October at Bittrex exchange. The entire Cardano blockchain is completely open source software and is available to see on Github. It is important to note that these aren’t a problem in the open network world; but in a secured transaction system which relies on commercial-grade electronics they are bound to become an issue. Cardano looks to solve these issues organically. By adding new users, you would get more bandwidth and more data storage without compromising the security. This is where their Proof of Stake consensus protocol called Ouroboros steps in. 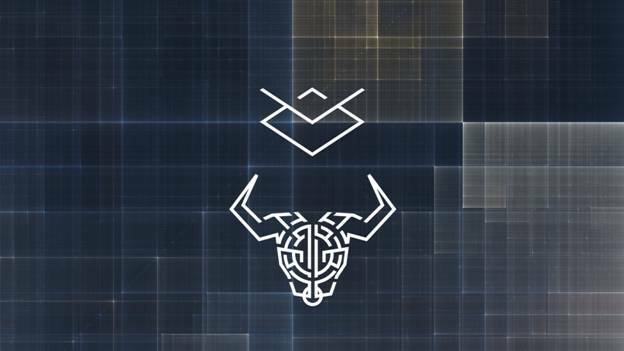 For comparison, generation 1 cryptos like Bitcoin use Proof of Work protocol which uses the method of solving computationally difficult puzzles in order to validate all the transactions and create the new blocks. This requires a lot of electricity and computational power. Ouroboros protocol eliminates the energy/hardware requirements of the PoW while at the same time answering the security issues that previous proof of stake algorithms faced. This protocol works by making potential miners purchase tokens and then present evidence that they own said tokens in a form of screenshot. Once this proof is presented they become eligible to be elected by the network as the designated miners (called slot leaders in Cardano). These elected few will be given the privilege to verify (mine) the following blocks on the blockchain. Ouroboros divides time in three epochs, where every epoch has three slots. Each slot is a time period during which a single block can be created. Ouroboros delegates a slot leader for each of these slots, making him in charge of verifying blocks during that time period. Slot leader is ordered to pick up the transactions from his slot, verify them, add them to the block and finally add the block to the blockchain. If he doesn’t complete his task in time or if he engages in some form of malicious behavior he will be replaced by a different slot leader. It is important to note that Ouroboros is supposed to run multiple, parallel epochs at the same time, thus exponentially increasing the throughput of the platform with each new epoch. Regarding the bandwidth, the issue presents itself once we increase the throughput to thousands of transactions per second. Normally the verifying process works on the mempool principle. All available transactions are stored in a memory pool which consists of nodes (computers which are connected to the Blockchain network). Miners access this mempool and verify the transactions. However, when you increase the throughput to thousands of transactions per second, the nodes will require a lot of bandwidth to download all that data. These nodes will also quickly become overrun and filled with data, even if they start dropping the less important (lower value) transactions. All of this results in scalability issues. Cardano looks to solve this problem by splitting the network into sub-networks, using a technique called RINA (somewhat similar to the TCP/IP protocol used for Internet networking). Each of these sub-networks will contain nodes which will be able to communicate with each other as well as with their siblings from other sub-networks. There are plenty of cryptocurrencies out there that are rarely interchangeable. Even when they are, you need an intermediate (an exchange). Cardano team assumes that in the future there won’t be a single dominant coin which will rule them all. Instead they notice that we will have multiple cryptocurrencies existing side by side, each with its own protocols and rules. The Cardano project wants to become an Internet of Blockchains, meaning it wants to be able to communicate directly to other blockchains. This would mean perfect interoperability and allow moving assets and value across multiple chains. That leaves us with the banks and governments. As cryptos don’t adhere to regular currency laws (in more ways than one), the regulatory sector looks at them…disapprovingly, to say the least. Crypto transactions don’t contain metadata like who made a transaction and for what purpose which makes governments uneasy, as it opens up space for criminal activities (and for evading taxation). Thing is, there are plenty of non-criminals who wish to stay anonymous while purchasing goods and crypto gives them a perfect platform to do so. Cardano project looks to implement a Smart Contract system which would allow you to enter your metadata, but only if you wish to share it with the blockchain. They view this as a “you scratch my back, I scratch yours” move which will make the government ease its stance on cryptos. 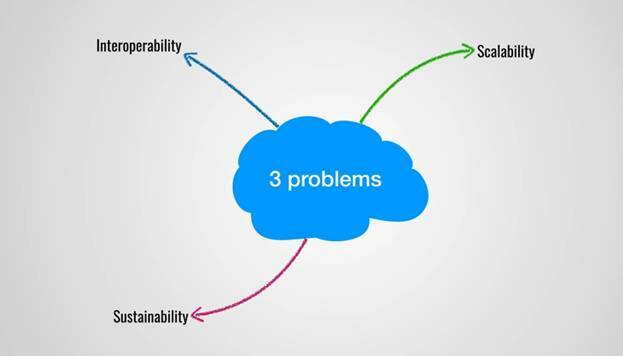 The final (but no less important) issue is the issue of sustainability. A company that wishes to develop a blockchain based technology will eventually launch an ICO (initial coin offering) whose proceeds will be used to fund the development activities. After a while, depending on the funds collected during the ICO/the cost of development, the company might run out of money. The question that arises in this case is how do you fund further development? It is clear that raising money only once isn’t a model which promotes continuous development and improvement. Therefore Cardano plans on implementing a treasury system. This treasury will be endowed via some portion (yet to be defined), of newly-minted ADA and by charging fees for transactions on the network. The Ouroboros protocol has undergone a thorough peer review and was accepted as secure at Crypto 2017, the world’s leading cryptography conference. The level of security that has been demonstrated by Ouroboros compares to the one present in Bitcoin’s Blockchain, the only Blockchain which has never been compromised. One of the things that set Cardano apart from other platforms is IOHK’s apparent plan to harden the Cardano algorithms enough to make them quantum computer resistant. Still, some people question the validity of mentioned “peer reviews” as well as the bloatedness of Cardano’s security protocols and see Ouroboros as an inferior product. There is a claim that pre-mined proof of stake coin is inherently insecure because, for this model to work as imagined, it is important to get a real wide initial coin distribution. The issue becomes clear if a single owner gets a hold on a significant amount of the coins, which will allow him to manipulate the blockchain much more easily than with the proof of work protocol. In proof of stake protocols it costs nothing to create a block while in proof of work someone malicious has to do the whole work process again and again in order to manipulate blocks. This would require significant amounts of electricity/hardware which ultimately wouldn’t pay off for the manipulator. The only way proof of stake protocols can be secured is by achieving good coin distribution at the start. Haskell is considered to be one of the most secure programming languages which minimizes the number of errors and adds robust security to the platform. This includes use of a technique called formal verification, which allows mathematical proof of the correctness of code. Cardano is also designed to operate in regulated industries as it allows applications built on it to meet regulatory requirements while allowing individuals to protect their privacy by choosing whether they want to enter these regulated domains. The CEO of the IOHK Company and Cardano’s stand out developer is Charles Hoskinson, previously known for his stint as the CEO and CTO of the Ethereum project. People also remember him for his work on the Bitshares project alongside Dan Larimer, the chief technical executive in charge of another presumed “Ethereum killer” platform called EOS. Hoskinson founded IOHK alongside Jeremy Wood in 2015 and at their core they are an engineering company focused on building life-changing cryptocurrencies for academic institutions, governments and corporations. Their revolutionary ideas stem from the company’s founding principle called cascading disruption. The proponents of the cascading disruption principle claim that most of the world’s financial, governance and social systems lie on inherently unstable foundations and thus even minor disturbances to those foundations can cause a ripple effect that fundamentally reconfigures the entire system. This principle is extremely exaggerated in the crypto world as changes in a single coin have been known to cause a butterfly effect across the board. IOHK wants to identify and develop technologies which will cause these disturbances, which will hopefully push the world towards a more fair and transparent order. Those are some big words and big plans indeed, which probably won’t sit well with major financial institutions across the globe. IOHK takes pride in being a decentralized company, made out of many smaller, interconnected teams. This form of organization has so far proven to be a very fertile ground for new blockchain related ideas. As mentioned before, IOHK takes a highly scientific approach in developing the Cardano platform. In accordance to this approach, there is extensive scientific documentation about the project which can be viewed here. As with every blockchain platform out there, Cardano has its own cryptocurrency/token of value. The cryptocurrency of Cardano is called ADA. 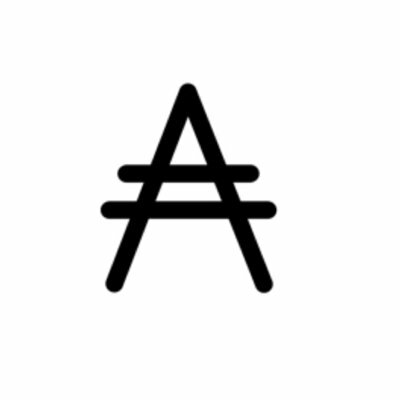 A unit of ADA is equal to a million Lovelaces (the smallest Cardano unit, think Satoshi from Bitcoin). ADA is capped at an arbitrary 45,000,000,000 tokens. The total amount of ADA that was made available at the launch is equal to 31,112,484,646 tokens. 25,927,070,538 ADA were sold during the sale that occurred at the launch. Around 20% of the total ADA (5,185,414,108) vouchers were generated and distributed among the three entities of the Cardano community, IOHK, Emurgo and the Cardano Foundation. Currently ADA is the fifth largest cryptocurrency according to its market capitalization of $9.922.212.114 (data available on coinmarketcap.com). 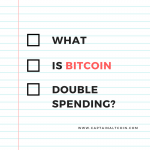 You can buy BTC with credit cards as well – see here how. Read here how to buy Ethereum. Read here how to buy litecoin with paypal or credit card. In order to interact with the Cardano Blockchain you need to own ADA. 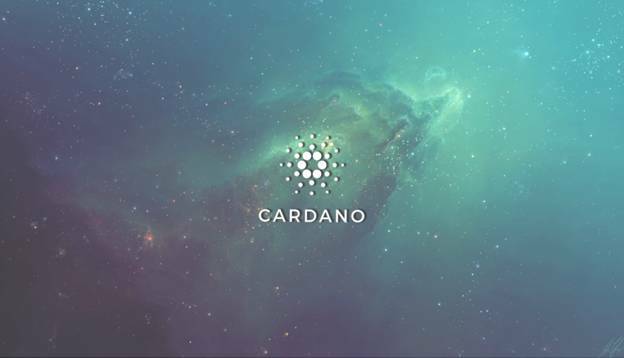 Users of the Cardano Blockchain can use this coin to pay for services or goods, utilize the money on exchanges for trading or gain access to server resources. With ADA and its technology, IOHK seeks to provide access to financial services all over the world while at the same time providing governments and other regulatory bodies with features necessary to comply with their regulations. ADA is essentially trying to bridge the gap between the consumer and the regulator in a way that will suit them both. Cardano is planning to issue a debit card that will allow you to spend your ADA, with the funds being automatically converted into the currency of your choice. This debit card will work as your usual debit cards, allowing for both online and in-store payments. It will feature a security check and will be linked to a mobile app which will help you track your transactions, balance, as well as manage your ADA transfers from your Daedalus wallet to the card. Full list of exchanges where you can trade this coin can be found on coinmarketcap.com. According to the Cardano website, Cardano will be a technological platform that will be capable of running decentralized applications usable by individuals, banks, organizations and governments all over the globe. The entire platform is layered into three layers, thus giving the system flexibility, ease of maintenance and an avenue for upgrades by way of soft forks. On the very first layer sits ADA. The next layer is a separate computing layer which will handle smart contracts which will be the basis for future commerce or business. Final layer will be Cardano’s ability to run decentralized applications, better known as “Dapps”. Dapps are basically services that are not controlled by any single entity, but rather they operate on the Blockchain itself, controlled solely by the smart contract associated with the application. As it became a custom with major crypto-projects, Cardano team eventually released a full roadmap. This roadmap marks the stage of development the project is currently in as well as the milestones that the project plans to achieve. Currently the project is in Byron phase, also known as the bootstrap phase, during which they plan on making improvements to the code and debugging. This will include improving the design of Daedalus as well as making integration through APIs to third parties simpler. Over the next 18 months they plan to work on stability, interoperability and governance of the Cardano platform. They also wish to create a CIP (Cardano Improvement Proposals) system which will allow network members to vote on ideas for network improvement. The Cardano team promises that this roadmap will be regularly updated, with a countdown clock indicating the next update release. This intent to stay in touch with the community and keep them notified is a good signal which should increase the overall confidence in the project. Since Satoshi Nakamoto first introduced us to Bitcoin in 2009, a lot has transpired in the cryptocurrency world. We see new cryptocurrencies pop up almost on a monthly basis, with each new one bringing promise of fixing the problems of its predecessors while creating its own revolutionary ideas. Cardano is no exception. Its creators want to absorb all the lessons learned in the generations past and bring forth a set of their own solutions to some common cryptocurrency issues. The fact that they plan on doing so using a scientific, peer-reviewed approach gives out positive signals about the project. The signs are there that Cardano could be to Ethereum what the invention of flight was to the railroads. Cardano may not turn out to be that big of a leap forward but is definitely a step upwards on the stairway to crypto-heaven. Great article, I believe Cardano ADA is the future.